Bow ties are back!! This one is classy. It's made of rayon and linen. It's 4.5" wide and will fit 13.5 to 18.5. Now lets step it up with your initial monogrammed on front. The bow ties in my collection are stationary bows. 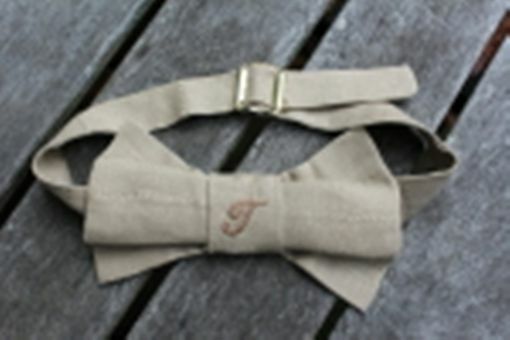 I will make your tie to your desire; fabric choice, color choice and your initials to personalize your creation! !